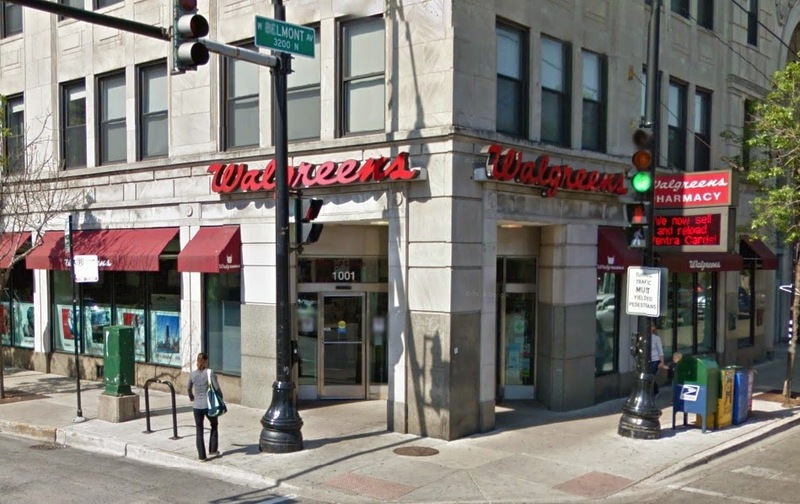 Police say a man entered the Walgreens at Belmont and Sheffield shortly before 10PM Friday, pulled out a hunting knife, and demanded cash from the register. He was last seen running eastbound on Belmont with about $300 of the store’s money. Earlier Friday evening, a crew of shoplifters stole an estimated $1,200 worth of merchandise in a raid on the nearby American Apparel store at 929 Belmont. Store employees told police that three black male offenders fled the store and jumped into a red Volvo bearing an Illinois plate that begins with E25 or E52. They were last seen speeding eastbound on Belmont around 6:05PM.